Helen Campbell Powell is preparing for her second holiday season without her husband William (who is serving in France) and the first with their newborn son. The end of the war has brought the family and servants to life with renewed energy and enthusiasm for the upcoming festivities. 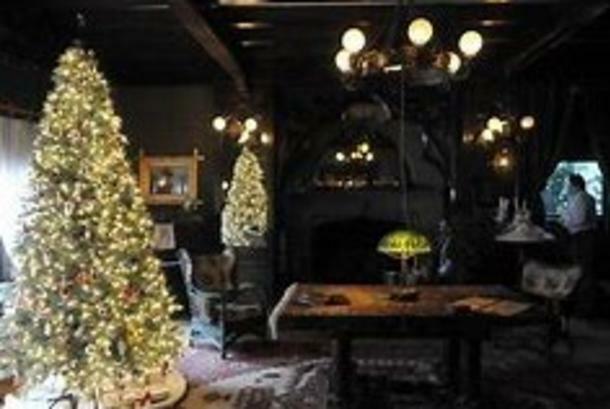 Join us for thirteen special days in December as we celebrate the holidays and the 100th anniversary of the WWI Armistice in historic Campbell House. 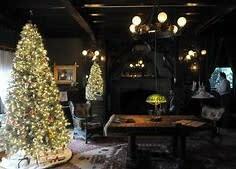 Explore the house at your own pace, enjoy the Christmas tree and decorations, participate in crafts and activities, and interact with our living history interpreters who portray members of the household. Chat with the chauffeur about the Campbell's electric car or help the cook bake cookies in the kitchen while learning about life in the early 20th century. Held in connection with our exhibit The Inland Northwest and the Great War. In 1887, a group of Youngstown, Ohio investors sent Amasa B. Campbell (1845-1912) and associate John A. Finch to investigate the tales of Idaho's fabulous Coeur d'Alene Mining District. The partners quickly determined that there were fortunes to be made. They invested $25,000 in the Gem mine, built a mill to work the ores, and soon were earning thousands of dollars a month. His fortune assured Campbell returned to Ohio to marry schoolteacher Grace Fox (1859-1924), and they moved to Wallace, Idaho, a raucous mining town that was a far cry from the sedate life of Youngstown. Both the Campbells and the Finches hired renowned Spokane architect Kirtland K. Cutter to design their new homes near each other in Browne’s Addition. Finch, the conservative financier, chose a Neoclassical Revival style. Campbell, the bold mining venturer, chose a more picturesque English Tudor Revival exterior of stucco, sandstone, brick and heavy timbers. The large main house, with offset service wing, and the adjacent carriage house were carefully designed to suit particular functions.